Today, Haute Time looks at the signature Patek Philippe dress watch, the Calatrava. Introduced in 1932, the Calatrava has stood the test of time, the simplicity of the design making it a classic, appreciated for its elegant and pure lines generation after generation. Three new models were launched – four if you included the controversial Calatrava Pilot Travel Time (Ref. 5524) – although Patek Philippe places it in the Complications collection. While that piece divided Patek Philippe collectors, the brand kept everyone happy with the introduction of three more traditional Calatrava timepieces. The purest of the three, Reference 5227G-010 is a 39mm white gold timepiece featuring a black-lacquered dial and gold applied hour markers. The dial is gorgeous, the finishing exquisite. The watch comes with a hand-stitched black alligator strap with prong buckle. It’s all that we’ve come to expect from a Patek Philippe. The size of the watch keeps it in line with the modern trend of larger timepieces without compromising its classical appeal. 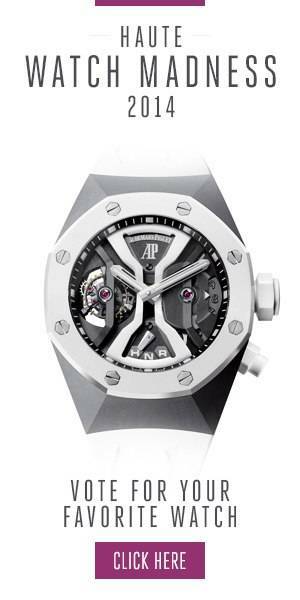 Inside, the watch is powered by caliber 324 S C, a mechanical self-winding movement. Sharing the same engine is Reference 5153R-001, another classic dress watch. This time presented in rose gold and measuring only 38mm, it also features hours, minutes and seconds as well as a useful date complication, all displayed on an elegant silvery opaline dial. The hand-guilloché center – unlike Ref. 5227G-010 – adds some texture to this watch and gives it character. Add to that the smaller size of the case, and a hunting-style case back, and you’ve got a vintage Calatrava, for those who prefer a retro timepiece. The third and final Calatrava novelty is the stunning Reference 6000G-012. Presented in white gold, it is the smallest of the three new models at 37mm, and it features a sunburst and silvery dial in a totally different configuration. No more apertures, the date is indicated by a chapter ring surrounding the hours, while the seconds are placed inside a subdial at 4 o’clock. However, the date remains legible thanks to a red crescent that pops off nicely against the blue dial, while the seconds benefit from a silvery backdrop. Powering this watch is caliber 240 PS C, a mechanical self-winding movement with the innovative Spiromax® balance spring featured in the Calatrava Pilot Travel Time. Again, it can be admired through a sapphire-crystal at the back of the case, which shows off the caliber’s stunning 22-carat gold mini-rotor. Once again, Patek Philippe keeps things simple. But this year’s collection is full of character, with three timepieces that are as different as they can get. Which one would you go for? Make sure to let us know! Photo Credit: Haute Time. For more information, please visit the official Patek Philippe website. Follow Haute Time on Instagram to catch all of the new releases as they happen.